Even if you’re not really a food aficionado, it’s unlikely that you don’t know what Michelin stars are. In simplest terms, it’s kind of a rating/award system that grades restaurants on their quality. Every year, the list is updated. Today, we take a look at all of the four countries in Asia that have restaurants with 3 Michelin stars! Before we begin, let’s take a look at what the number of stars mean, according to the guide. Mainland China has the one and only restaurant with 3 Michelin stars in Shanghai named Ultraviolet. Admittedly, it sounds more science-inclined, but Ultraviolet really isn’t your typical restaurant. Paul Pairet had conceived the idea since 1996, but Ultraviolet only opened its doors in 2012. An innovative and fully-immersive fine-dining experience, Ultraviolet only admits 10 diners per night at a communal dining table featuring 20 courses. The dining area is windowless and apparently featureless, but then diners are launched into sensory overload with special menus, advanced video projection, unique scents, and exciting soundtracks. Intrigued? Drop by this unique fine dining restaurant the next time you’re in Shanghai! As Hong Kong isn’t a country on its own, we decided to file it under the country of China. Hong Kong alone has six restaurants with 3 Michelin stars, and they are Lung King Heen, 8½ Otto e Mezzo Bombana, L’Atelier de Joël Robuchon, Bo Innovation, Sushi Shikon, and T’ang Court. 8½ Otto e Mezzo Bombana (in Central) is the only Italian restaurant outside of Italy to receive 3 Michelin stars, so it’s definitely worth the visit. On the other hand, Bo Innovation’s owner and head chef Alvin Leung, is nicknamed The Demon Chef, and he even created his own cuisine which he termed X-treme Chinese. How “x-treme”? Well, have you eaten an edible condom on a mushroom beach? Yeah, neither have we. There are only two restaurants with 3 Michelin stars in Macau, and they are Robuchon au Dôme, and The Eight. Robuchon au Dôme has the most extensive and exclusive wine collection in all of Asia with 16,800 labels, and serves spectacular French cuisine, curated by Joël Robuchon himself. If you’re looking for some local food, then The Eight is perfect, as it is the first and only Chinese restaurant in Macau with 3 Michelin Stars. 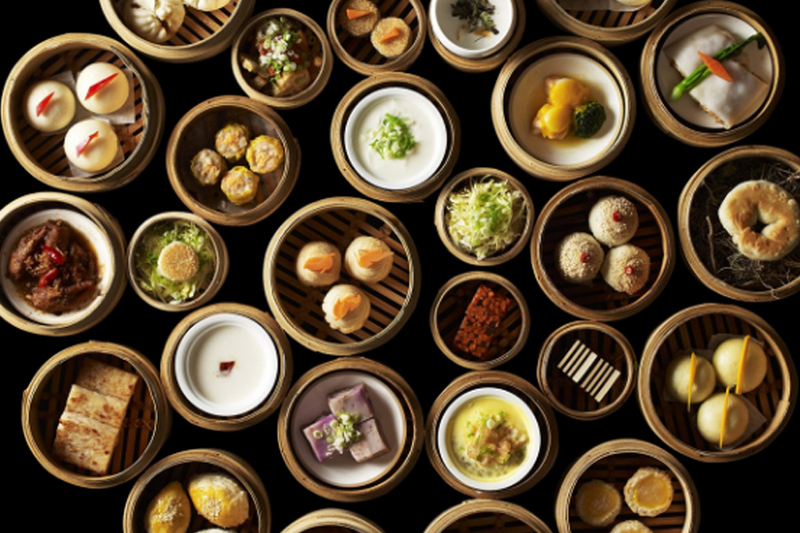 Enjoy more than 40 kinds of dimsum here in a classic environment. The best part? Both restaurants are located within Grand Lisboa, and share the same wine cellar! The Michelin rating system is derived from a team of anonymous food tasters, and they are (in)famous for favouring the Michelin system’s home country, which is France. But clearly, Japan is coming out on top. Japan has a total of 34 restaurants with 3 Michelin stars, compared to France’s 27. That’s quite an accomplishment, don’t you think? Well, we won’t be able to fit all the descriptions of 34 restaurants here, but honestly, with that many, you can take your pick once you’re in Japan. Also, they’re not all clumped in one or two cities only. You can find these restaurants in Tokyo, Kyoto, Hokkaido, Osaka, and Nara among others. The best part is, they’re mostly Japanese restaurants, so that means fresh sushi galore! Both located in Seoul, the two restaurants with 3 Michelin stars are Gaon and La Yeon, the pride and joy of South Korea’s gastronomy industry. Gaon is a traditional Korean restaurant, whereas La Yeon goes down the contemporary path. As Gaon is operated by a maker of fine ceramic ware and traditional Korean liquor, all their food is served on customised ceramic utensils. Talk about the whole package! Meaning “celebration” in Korean, La Yeon recreates traditional Korean dishes with a new twist, all on top of the Seoul Shilla Hotel, so you can enjoy breathtaking views alongside your scrumptious food. Le Palais is the only restaurant with 3 Michelin stars in Taiwan, serving Cantonese cuisine. Sitting on top of Taipei Main Station, cocooned within the five-star Palais de Chine Hotel, Le Palais is a Chinese-cuisine-lover’s dream come true. 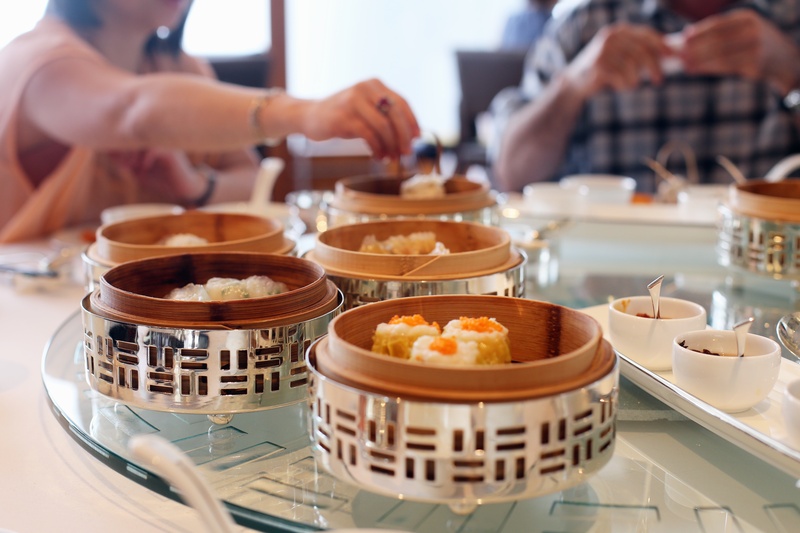 Besides Cantonese (and other Chinese) dishes, you can also enjoy an array of dim sum at Le Palais. Apparently, their signature Cantonese-style crispy roast duck is so good that you need to order it two days in advance. Any of the restaurants caught your eye, or more aptly, your appetite? If you’re just itching to try them out, why not tag your S.O. or friends in the comments below, and plan a trip ASAP? Happy dining!